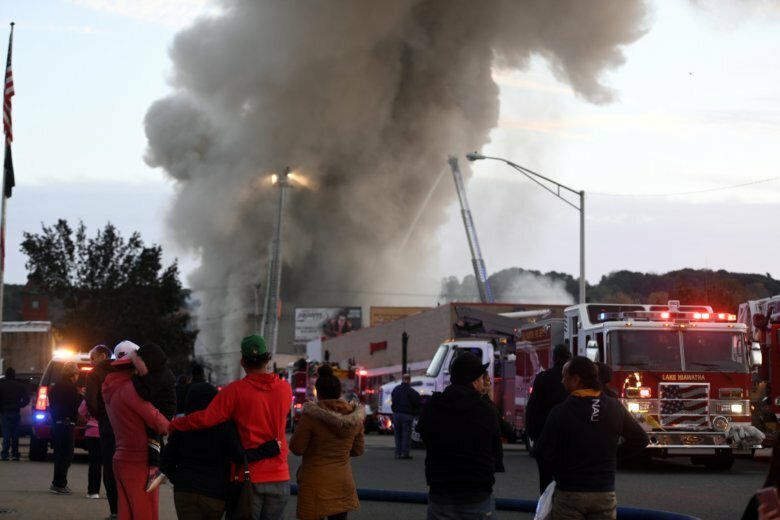 DOVER, N.J. (AP) — Authorities say a fire fueled by natural gas destroyed five buildings in the downtown business district of a New Jersey town, displacing at least 80 people. Firefighters remained at the scene in downtown Dover on Tuesday as heavy machinery scooped tons of rubble into trash containers following Monday afternoon’s blaze, which broke out in the basement of a luncheonette. Mayor James Dodd told reporters Tuesday that 40 people were permanently displaced and 40 others were living in temporary housing. No serious injuries were reported. The cause remains under investigation. Dover is about 30 miles (48 kilometers) west of New York City.